Zinc plated, wind up adjustable height, heavy duty jockey wheels. Available with either bolt/weld on clamp or a self locking swing away mount bracket. 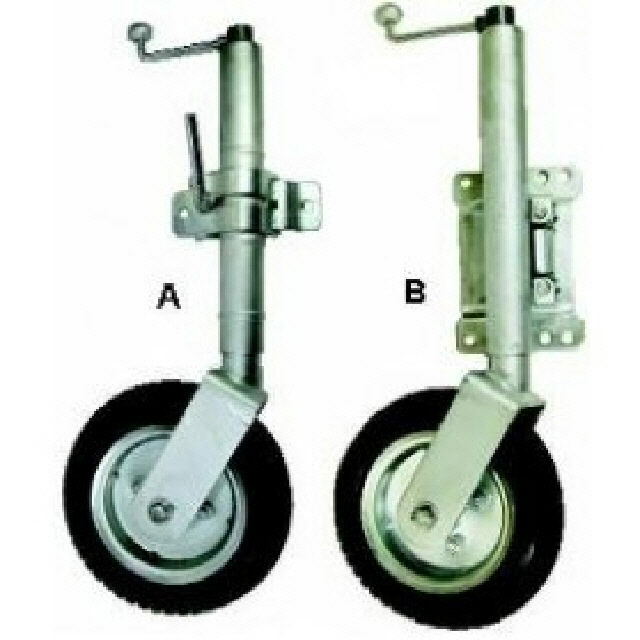 Wheel has a zinc plated steel centre with a 250mm diameter, solid rubber tyre.